In anticipation of the fast-approaching 14th World Wushu Championships and the International Wushu Federation (IWUF) Congress in Kazan, Russia, we asked Mr Glen Keith, a former Vice President of the IWUF, to clarify several confusing facts about Oceania Wushu structure. He kindly agreed to answer our questions. 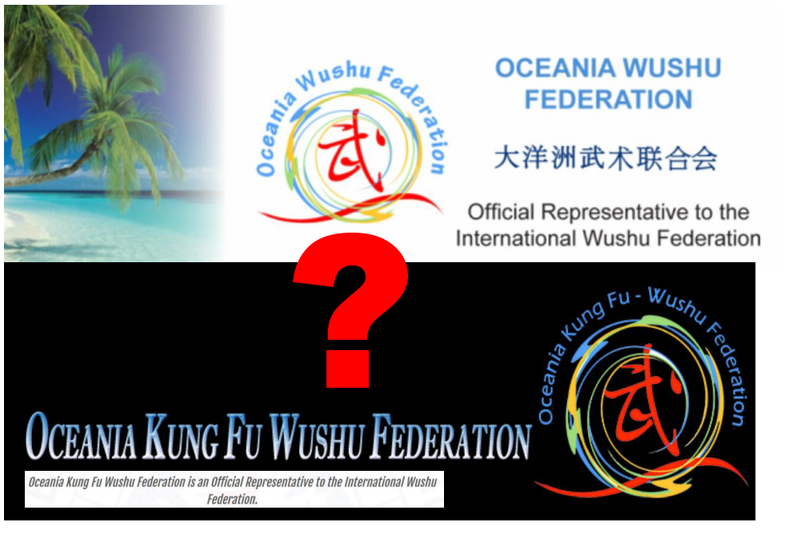 WUSHU HERALD: There are two websites claiming to be the official sites of the Oceania representatives to the IWUF: http://www.oceaniawushu.org/ and http://oceaniakungfuwushu.com/. GLEN KEITH: The correct website is http://oceaniakungfuwushu.com/ and I am in the process of closing down the website http://www.oceaniawushu.org/, which is now redundant. I am also in the process of de-registering the formal structure associated with the Oceania Wushu Federation Limited. WUSHU HERALD: Accordingly, there are two organisations: Oceania Wushu Federation Limited (NZBN 9429041506516) and Oceania Kung Fu Wushu Federation Limited (ACN 159 557 892). GLEN KEITH: There is only one official organisation, being Oceania Kung-Fu Wushu Federation Limited. WUSHU HERALD: The IWUF website states that the continental member for Oceania is Oceania Wushu Federation Limited although the contact details appear to be of Oceania Kung Fu Wushu Federation. GLEN KEITH: I will remind the IWUF to update their website. WUSHU HERALD: Oceania Kung Fu Wushu Federation claims to have 12 members 10 of which appear to be in the process of formation. Their logos clearly show the streamlined approach to this process. GLEN KEITH: I have no reason to dispute the information on the Oceania Kung Fu Wushu Federation website with regards to membership. GLEN KEITH: General Comment: In Jakarta 2015 at the IWUF Executive Meeting and Congress, and for personal reasons, I formally withdrew my candidacy for President of the International Wushu Federation. I also at this time (for the same personal reasons) decided to stand down from my role as President of the Oceania Wushu Federation. I recommended to IWUF that Mr Walt Missingham take my position as President, given he was the Senior Vice President of the Oceania Wushu Federation. This was later ratified by IWUF and Mr Missingham was duly nominated and elected. My current position in the Oceania Kung Fu Wushu Federation is that of Senior Vice President. Mr Glen Keith refused to comment further and it remains unclear why it was necessary to create a new Oceania Kung Fu Wushu Federation while keeping the old one. We continue our investigation. The International Wushu Federation (IWUF) is the international organisation recognised by the International Olympic Committee. The IWUF governs Wushu in all its forms worldwide and currently has 146 members, across 5 continental regions including Oceania. Australia is the biggest Oceania country and its Wushu, Tai Chi and Kung Fu practitioners are affected by the policies and decisions of the IWUF and its Oceania Continental Member regardless of their formal affiliations. Mr Glen Keith’s Manifesto in his bid to be elected as the IWUF President in 2015 was the subject of the Wushu Herald article (https://issuu.com/auswushu/docs/wushu-herald-2015-vol-03-no-03) and can still be found on http://www.glenkeith.org/.